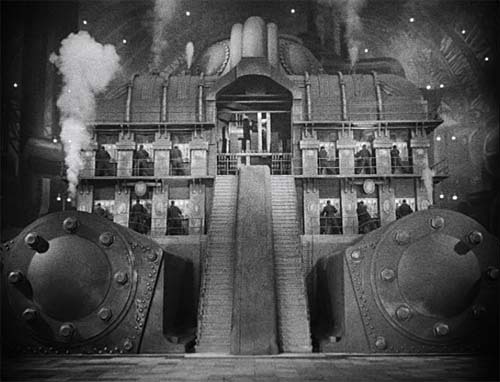 To say the movie Metropolis is influential would be an understatement. Some 84 years old, it still scores 8.4, putting it at #94 on IMDB’s Top 250 list. That version was released in 2008, I think, and was largely based on the version carefully restored by the Murnau Foundation in Germany. I reviewed it in June 2008, the last DVD review I did (now I do Blu-ray exclusively). But even as Madman was releasing the disc and I was writing about it, someone was finding a print in Buenos Aires. All existing versions had been horribly hacked into different short versions, and suffered considerably in the intelligibility of the plot as a result. The 2008 find has resulted in a new version with lots of previously missing scenes, adding perhaps half an hour to the run time, and making the story comprehensible. Madman Entertainment is releasing this version on both DVD and Blu-ray on 15 June 2011. This is a must-have. I do have one complaint in advance: I see that the movie is presented in 1080p24. It seems likely that it was actually shot at 16 frames per second and so much of the drama is sapped by the unintentional comedy of people scurrying about unnaturally. I’ve put my DVD review after the fold. Fritz Lang’s big budget ($US200 million in today’s money) science fiction morality tale is generally regarded a masterpiece. Certainly the special effects are unbelievable for the day. But the story itself is an embarrassment of foolish sentimentality presented, seriously, as a solution to a problem which, itself, is a total misreading of economic progress. Still, it’s undeniable, this is an important movie. This version comes from Madman Entertainment, but is based on the German restoration. The final picture is remarkable. Mostly clean and detailed, it does have some sections that were obviously inserted from poorer, more difficult to restore, stock. Those poorer bits collapse into awful film grain, but they don’t last for long. I compared this release with the older Force Video release. That version has almost no detail. Everything is pushed into a darkish grey (there is no real black), or overblown white, with little between (and the frames are quite cropped down as well). With this version the gamma scale is excellent, providing truly remarkable detail. The restoration featurette indicates that much of the restoration was done by hand to avoid the removal of detail by automated processes. It worked. It isn’t perfect. There are brightness flickers, but almost no frame jitter. There is also more content in this 119 minute version than there is in the Force 139 minute version. Odd, but true, but it does bring us to the major defect of this version. The restoration team, for this version, found a few extra short snippets from other versions which they incorporated. They also found a script, so they were able to add descriptive text panels to outline the sections of the movie which have been forever lost. Although there is apparently some dispute about this, it’s pretty obvious to me that this film was shot at 16 frames per second, not the 24fps universally used soon thereafter. 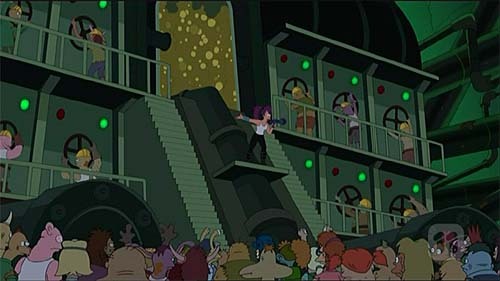 So with this DVD you have people running around the place in a decidedly odd, super-charged kind of way. The motion — as far as you can make out, given its fuzziness — is definitely more natural in the Force version. This entry was posted in Blu-ray, Cinema, DTV. Bookmark the permalink. It certainly could be sped up, but at a cost in either crispness or smoothness of motion. It kept at 1080p24, then every third frame would have to be repeated to achieve the slowdown. Using 1080i60 in progressive mode (ie. 1080p30 if woven properly) would mean repeating 14 out of 16 frames and keeping the other two to single showings. Otherwise, smoothness could be achieved by interlacing, and I think this’d probably be the best way to go. With full HD and motion adaptive deinterlacing and camera work which is almost entirely from a tripod, good detail should be retained. But we have what we have. Somehow I don’t think another version will be forthcoming unless a higher quality print with the formerly missing bits is found. In any case, the people of now are the first in 80 years (at least, outside of Argentina!) who have a chance to experience this movie more or less intact. I’m inclined to be thankful for this alone.